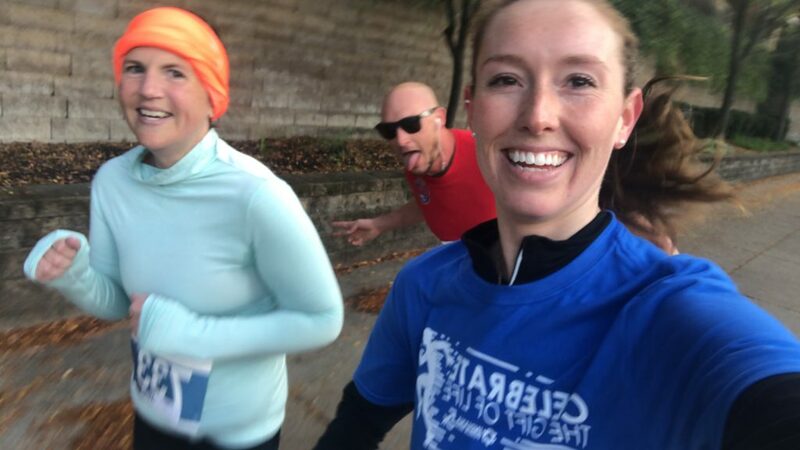 My friend Rachel recently signed-up for the Chicago Marathon and in a text message to me, she said, “2019 will be the year of running!” I really liked that! Now that I am able to fuel body with real delicious food and I am no longer dependent on TPN, I am feeling better than ever! I am super excited to see what my body can do! While on TPN I was getting about 1000 calories per day IV and would also eat. I think many of my doctors, pharmacists, nurses, and dieticians caring for me assumed that I was absorbing a fair about of oral nutrition before getting sick. In April after my first surgery, I started recording all of my oral food intake and carefully tracking calories. I was doing this not to limit or modify the calories I was getting, but just to have an idea of what I was putting into my body. I quickly realized that I could maintain my weight as long as I consumed a net caloric balance of 1200 calories per day. I record my activity and subtract ~100 calories per mile I run, so if I run 6 miles, I strive to eat ~1800 calories that day. This amount of caloric intake is fairly low. My hypothesis is that during my time on TPN by body became very efficient at maintaining it’s self on a low amount of calories. I think this adaptation in my metabolism might have some great advantages especially when it comes to running. I have found that I am not a particularly quick runner, but I can train myself to have impressive endurance. With my current fueling and body adaptation, I think it might be the ideal time to test my limits of endurance by doing an ultra marathon. The longest run I have ever done was a 35 mile run that I did on my 35th birthday. I have always considered doing a longer race and I think now is the time for that challenge. I have decided that my goal race this spring will be the Buffalo 50 held at Shelby Farms in Memphis, TN. Shelby Farms is a very special place for me! I have so many running memories with friends, and this is the place where I have built myself back for being broken to back to running shape. In 2011 after my pulmonary embolism, I would slowly walk the Chickasaw Trail while carrying my portable oxygen compressor. At that time I could not even walk a mile without stopping to rest. Eventually after months of perseverance, I was able to regain fitness and finally built up to running again. I have many ups and downs in this park, so it makes it an ideal place to attempt my first 50 mile race. I have been building my mileage by about 5 miles per week ever since recovering from surgery. I have built up to about 60 miles per week and will peak at ~100 miles per week. Below is my race schedule so far for 2019! Thanks Rachel for your inspiration!